The way we present ourselves tells other people who we are. It’s not that we consciously look each other up and down, it’s actually something we do instinctively. Our subconscious takes in sensory clues around us, including what we see, in order to navigate us safely through day to day life. If you take it right back to primitive days, our vision was supremely important in determining whether the person or animal coming towards us was a friend or foe, enabling us to decide whether to fight, flea or freeze. So reacting to what we see is simply hard wired into our DNA. It’s why colours are so evocative, they carry subliminal psychological messages that evoke certain reactions or reinforce recognition. It’s no accident that companies spend so much time and money thinking about their brand colours as part of their wider marketing and branding strategy – studies in fact show that colour increases brand recall by 80%! If I ask you to think about coffee brands, for example, I’m sure that you would easily be able to recall that the Starbucks brand is green and Costa a dark red (as shown below). In a business context, thinking about your visual brand – expressed through what you wear (your work wardrobe), plus your social media profiles (e.g profile pictures), and any other visual media you feature in (e.g, intranets, videos etc.) – becomes especially important since we generally choose to do business with those we ‘like, know and trust’. Making a confident and credible impression, in a manner that really communicates your brand, enables people to quickly make a positive judgement about you. In simple terms, they ‘get you’ and see you for who you are, before you’ve even spoken a word. First impressions are not something that we form in seconds and then forget about, they’re lasting. We all generally like to believe that we’re right, so having met someone we then actively look for other evidence to support our first impression. Make a good first impression and people are more likely to like you, spend time getting to know you and ultimately trust you. Unfortunately, if people form a negative impression of you they are equally likely to get busy gathering evidence to support that negative impression. Which is why it then becomes harder to change people’s perceptions. The truth is that we form an impression of someone each and every time we meet them too, it’s not just the first time. So paying attention to your visual brand is a long term activity. Surely doing a good job is all that matters? In the training courses and workshops I run, people will often challenge the importance of personal image, suggesting that it shouldn’t matter and that doing a good job and delivering results should be all they should be judged on. I agree 100% that performance and behaviour are both of course of paramount importance. Whether we like it or not, however, the way you choose to present yourself will have an impact on how you are perceived – your reputation. It’s your reputation that will determine to a great extent whether you get promoted, whether someone chooses to buy from you, whether they engage you on a project and so on. On top of this, people’s expectations also play their part. If you are in a role where you are by and large expected to look smart and you turn up in scruffy, outdated clothes, for example, people may assume that you are inefficient, unprofessional and ‘not for them’. There’s a disconnect between their expectations and the way you look. What this inevitably means is that you then have to work so much harder to convince them that you are indeed competent and can help them. The way you look has become a barrier, rather than a facilitator, of business success. (In a non-work context, just think of our shock when Susan Boyle first took to the stage on Britain’s Got Talent – most people admit that they wrote her off purely based on her appearance. It wasn’t until she got the opportunity to sing that we revised our initial first impressions. It’s why shows like The Voice exist in an attempt to remove our visual judgement.) In business, you may not get an opportunity to prove your worth if your visual brand isn’t working for you. So rather than discount it why not embrace it and instead see it as a differentiator, something that can positively enhance the whole package. In my time working with organisations, from blue chip companies like Allianz Insurance, HSBC, BP, Cisco etc., to smaller organisation, retaillers, schools and charities, I’ve heard countless examples of how much difference authentic and polished personal presentation can make. One course delegate, explained that he had been overlooked for promotion on several occasions and couldn’t put his finger on why this would be the case. His appearance can probably best be described as dishevelled (his shirt was untucked and unironed, he had scruffily rolled up his shirt sleeves, his jacket collar was sticking up on one side, his trousers were too short and his shoes were badly scuffed and worn), his body language was extremely laid back (he sat slumped back on his chair in a nonchalant fashion most of the time), he had unkempt facial hair and his overall demeanor was rather immature. He described himself as ‘one of the lads’ and enjoyed recounting stories of his antics on nights out with gusto. He was clearly not presenting an image to his peers and line managers of someone ready for the management roles he was applying for, in what was a conservative and quite formal environment. Once he received feedback from others on the course on what they had assumed based on his appearance and body language, he was able to make some very simple changes that most certainly contributed to him getting promoted not long afterwards. It’s fair to say that the world of work is generally becoming less formal, with ‘business casual’ or ‘smart casual’ being the typical dress code in many organisations. A more relaxed working environment and a recognition of the value of self expression is great. In my view, however, no matter how informal the dress code, you are still very much showcasing your personal brand. Many clients I have worked with actually find the casual dress code more of a challenge. It was easy when all you had to do was wear a suit, it was almost like wearing a uniform. Now there are a plethora of choices and work and home wardrobes tend to merge, which can make the whole process of getting up and dressed each morning more tiresome. If you run your own business you ARE your business. What people are buying first and foremost is you. You are what differentiates your business from other similar businesses. You will most likely have spent hours and hours developing your business brand, producing a website, creating templates for social media platforms and producing all the printed marketing collateral (business cards, leaflets etc.). to support your business. These are all valuable activities, but it’s equally important to think about YOU – the person they meet – whether that’s face to face or online. Does your appearance support your business brand values? Does it encourage others to find out more? Or is there a disconnect between what you’re saying and your personal presentation? Many of my clients tell me that for them putting on clothes that they consider to be ‘work clothes’ helps get them into the right mindset for work. If they are too casually dressed they find that their productivity can dip. Clothes can indeed be a powerful mood stimuli – it’s why we spend so much time thinking about what to wear for an interview, an important presentation/meeting or a big social event. We want to feel right. If you find that clothes are a mood trigger for you and/or you work from home and want to ensure you are optimising your productivity, think about wearing something slightly more dressy than you would when simply relaxing at home. This way you are signalling to your brain that you are in ‘work mode’. So, just how do you choose what to wear for work? There are no hard and fast rules, and what works for one person in one job role and organisation can be very different to someone else, even if they work in a similar industry or role. What you are doing and who you are seeing in any given day will also influence what you choose to wear. If you work in sales, for example, and are meeting with clients in organisations with a more relaxed dress code then you should certainly bear that in mind. You don’t need to dress exactly like them, but you equally may not want to look like a ‘fish out of water’! It’s all about building rapport. No matter how formal or informal your work wardrobe is, you should certainly give it some thought. So, how do you choose what to wear? First things first, you need to think about your role, the brand values of the organisation you work for (or your company values if you are self employed), the types of clients/suppliers/people you interact with and importantly, also consider your own values and thoughts on how you would like to be perceived. I help people to define their personal brand like this, through a series of exercises that enable them to succinctly distill their brand down to a few adjectives that describe how they would like to come across. (It’s always worth asking others for input and feedback here too). Once you feel that you fully understand your brand, you can then assess the clothes in your work wardrobe and ask yourself whether your outfits do indeed convey your brand or whether they are falling short? If you want to be regarded as innovative, for example, you can demonstrate dynamism by ensuring that your clothes look current. This doesn’t mean becoming a fashionista and spending fortunes on new clothes all the time, but it could mean adding the odd piece or two now and again or mixing up your outfit choices so that you don’t look the same all the time. Essentially, it is about making sure that your clothes don’t look outdated or too staid. If one of your personal brand values is creativity, then you can add some creative twists to your outfits – for ladies, this could be in your choice of shoes or jewellery, for example. Theresa May chooses to do this and I think that she does it well. 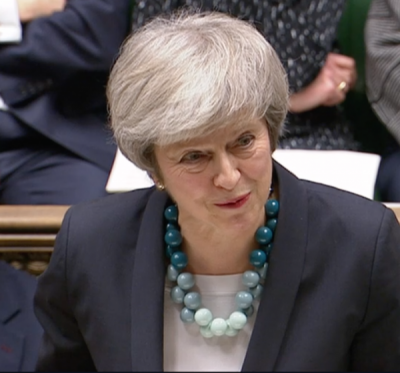 As Prime Minister she recognises the need to dress more formally, but that doesn’t stop her adding her personality in her big beads, cuffs, and statement shoes. Confidence can be portrayed in many ways, one of which being through the colours of clothes you wear. A man choosing to wear a pink shirt is often regarded as confident, for example. Red too can be seen as a dynamic, confident colour, although too much of it can also be seen as aggressive, so be mindful of overdoing it! Efficiency can be conveyed by ensuring your appearance is tidy, every detail having been checked. In a similar vein, when someone looks polished and put together we often regard them as more professional. Tailoring and well fitting clothes often make a difference. Anything that looks tired, frayed, too short/long or fits poorly doesn’t really conjure up thoughts of professionalism. The quality of the fabric can often also be key here. Garments will hang better and generally last longer if they are cut from quality fabrics. Skirt length for ladies is something to think about too. I often advise that work skirts should finish no shorter than just above the knee, (or perhaps just a bit shorter if opaque tights are being worn). Ultimately, you don’t want your clothes to be the talking point, you rather want people to see what you are wearing and then look up and engage with you. Of the photos of me below, I personally think I look the least professional in the far right. It is generally accepted that darker colours look more authoritative. If you are a leader or want to convey authority, then you may well want to think about adding some depth of colour into your work wardrobe. A beige suit compared to a dark navy suit may be perceived quite differently. Barack Obama felt the impact of this during his reign as USA President. The column inches he received the day he chose to wear a beige suit focused on his choice of suit, rather than what he was saying. His message was diluted, his clothes having become a negative distraction. If it can have this impact on someone occupying such a position and generally regarding so highly, then you can easily see what a difference it can have for you too. So you understand your personal brand values and have thought about your visual brand, but it’s fair to say that wearing clothes that suit your physical characteristics will be the icing on the cake. There are colours that will enhance your natural colouring, create an impact and help you to look more vibrant and healthy, and there are those that can lead to people asking if you’re feeling a bit under the weather! It’s a matter of choosing the right depth, undertone and clarity of colours. It’s also important to think about the style of clothes that suit you. Everything from the style of necklines/collars styles, the types of fabrics and patterns that work best for you, the specific cuts of garments, your choice of accessories etc. All of these things make a difference. A business image consultation looks at both aspects and will take the guesswork out of the equation! One of the ways to remove the headache that often comes with having to choose what to wear each day is to develop a capsule wardrobe. Quite simply you choose a smaller selection of pieces that mix and match with each other, rather than having a wardrobe full of individual items that only go with one other item. If this sounds of interest, just book a Capsule Wardrobe consultation and get ready to regain precious time each morning! Thinking about the way you would like to come across at work, and how that specifically translates into what you choose to wear, pays dividends. Choose well and your clothes will ensure that others understand who you are and what you are all about. You will come across in a manner that supports your personal brand and business success. I love helping people think about their business image. I also love creating capsule work wardrobes for clients who want to make the chore of getting dressed each morning, an easy one. 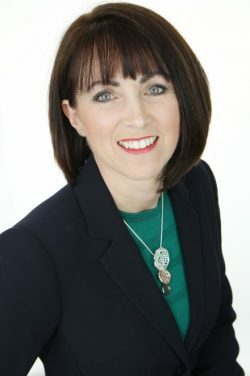 Please do get in touch if I can help you: business image for women, business image for men; capsule wardrobe consultations.